PUTRAJAYA (Oct 9): The Ministry of Domestic Trade and Consumer Affairs is targetting 30 per cent retail products, manufactured by local small and medium enterprises (SMEs), to be sold at local hypermarkets. 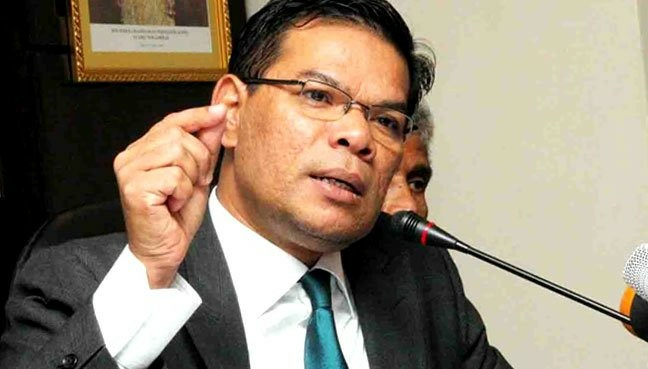 Its Minister, Datuk Saifuddin Nasution Ismail, said 1,169 products or 20 per cent of products manufactured by local SMEs were available at hypermarkets. “In order to achieve the 30 per cent target, SMEs cannot neglect packaging and quality to ensure that their products can be accepted by big hypermarkets. “Hypermarkets with international repute are very particular about products made by SMEs and among the attributes examined are packaging, branding and quality,” he told reporters after officiating "A Day With SMEs" programme at the Ministry here today. In conjunction with the event, Saifuddin also launched a guide book for SMEs on the marketing of halal products to local and foreign markets. “The book was produced with inputs from hypermarket operators and it should be used by both existing and new entrepreneurs. “SMEs which satisfy all conditions set by hypermarkets but are still unable to market their products can bring the matter to the Ministry's attention,” he said. Saifuddin said although the number of hypermarkets was small compared with normal convenience stores, they still controlled more than 60 per cent of the country’s retail market. “Therefore, hypermarkets are the best marketing channels for SME products,” he added.